It’s not always easy to get out of the house properly fueled up with breakfast. But hopping in the car doesn’t have to mean driving to work not smelling of breakfast. 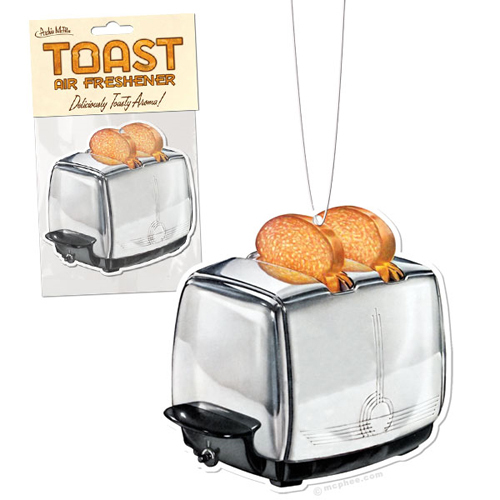 It might not carry the scent of bacon, but the Toast Air Freshener will at least help you get on your way–without the calories, of course.